The Book of Mormon describes its world as having four sides aligned with the four cardinal directions Mosiah 27:6, 3 Nephi 1:17. It also describes its world as having four quarters Alma 43:26, Alma 52:10. The Nephites described their focal point as the heart Helaman 1:18 or center Helaman 1:25-27 of their land. Furthermore, they perceived themselves inhabiting a single isle of the sea 2 Nephi 10:20-21 nearly surrounded by water Alma 22:32 with salt water on every side Helaman 3:8. For more context see the blog articles "Test #5 North South East and West" and "Smoking Gun." For examples of the widespread Mesoamerican notion of a spatial quincunx, see the article "Light from LA" points 6 and 43. A beautiful portrayal of this worldview was found at Masada where a replica hangs in the Visitor Center. 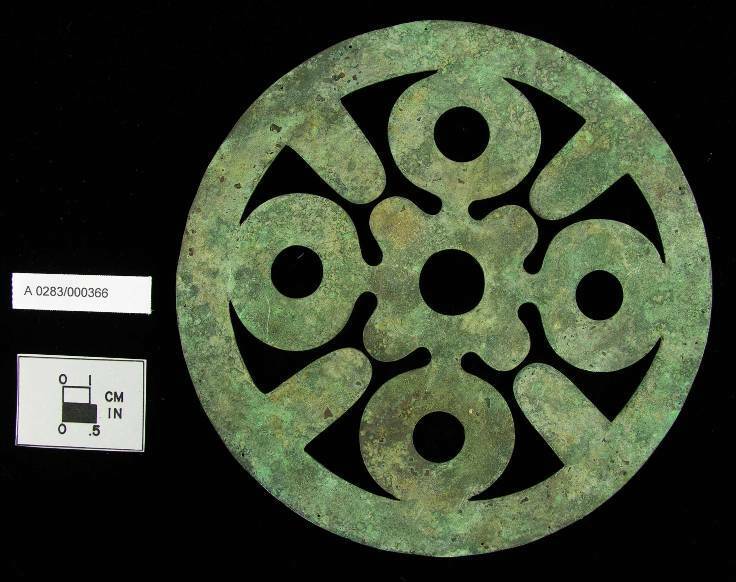 This wall hanging shows four sides, four quarters, and a center all surrounded by water. 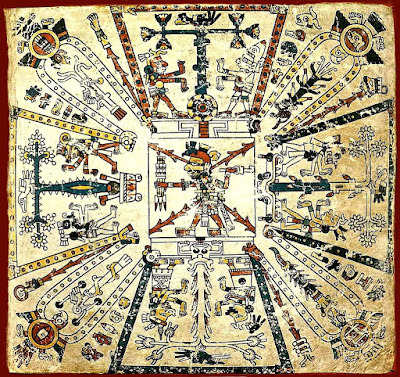 Corresponding depictions are found throughout the Americas. This is a museum replica of the well-known Inca Chakana. 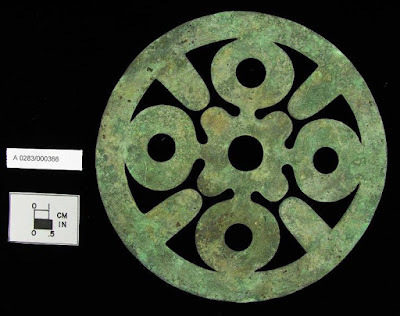 A very similar version of this symbol is on the Lanzon at the Temple of Chavin. It is attested in Andean art from Chavin through Inca times (2nd millennium BC - European contact). The same idea is expressed on the striking Hopewell Wheel displayed in the Ohio History Connection Museum in Columbus. 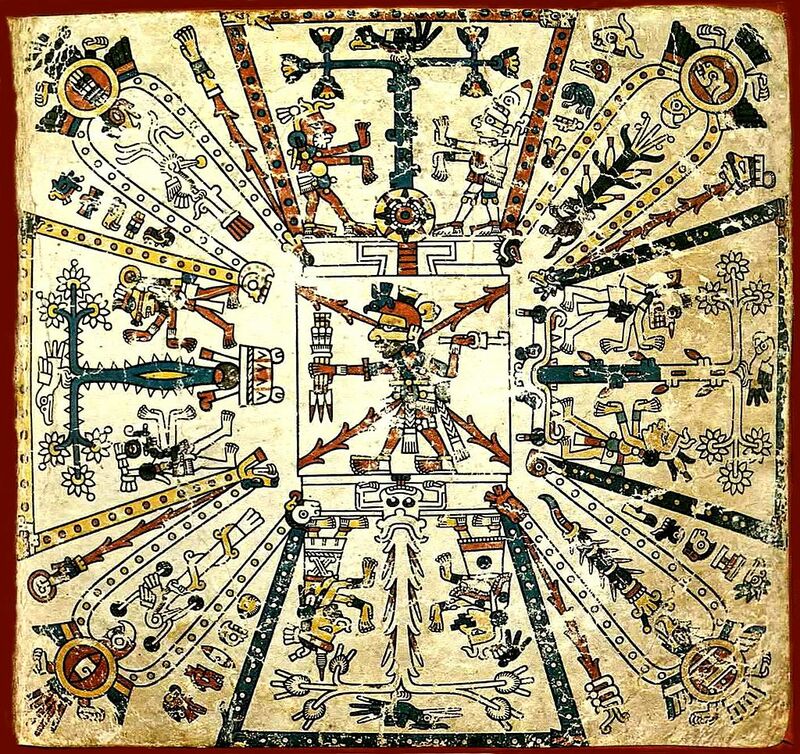 As we would expect, this worldview was widely portrayed throughout Mesoamerica. This is a pre-columbian representation thought to have originated in Veracruz.